Peeps is made from a soft, white plush fabric that is perfect for cuddling! 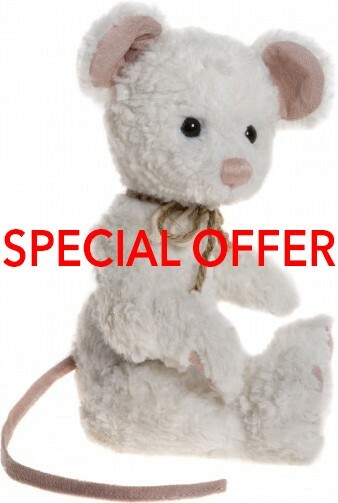 He has small, dark eyes, a pink hand-stitched nose, big ears and a long pink suedette tail. He is accessoried with a twine style neck tie. Look out for his mouse friends:- DICKORY/DOC and MUNCHKIN. Peeps is from the Charlie Bears 2017 Collection.